Another year, another New York Film Festival with an outstanding line-up of indies and foreign films to dazzle New York City audiences. The 52nd New York Film Festival has revealed their full main slate line-up, featuring everything from the Dardennes to Godard to Bennett Miller's Foxcatcher (one of my favorite films from Cannes) to Cronenberg, Mike Leigh, Olivier Assayas, with Damien Chazelle's Sundance fave Whiplash tossed in there, too. Three other highly anticipated films have already been announced: Gone Girl, PTA's Inherent Vice, and Birdman to close the fest. But plenty of other great films will be showing. Now that we're based out of New York City, the NYFF is our home base fall film festival and they also put on a great show, light years ahead of Tribeca in terms of cinematic content, organization, beautiful venues, and the overall experience. I can't recommend it enough, and I recommend seeing most of these films, most of which have already played at festivals like Cannes, Locarno, Sundance, or TIFF. This is only the first "main" batch of titles, but it's shaping up to be another incredible year (last year they featured Spike Jonze's Her and Paul Greengrass' Captain Phillips). We'll be following this closely and are hoping everyone else is, too. For the full line-up and selection including quotes, plot synopsis, and more details - visit FilmLinc.com. In the meantime, here's a quick look at the main selection of films playing NYFF52 this year - go see them! Lesli Klainberg, Executive Director of the Film Society of Lincoln Center commented about the 52nd NYFF: "The Film Society is very proud to continue our commitment to present the years most significant films from around the world at our latest edition of the New York Film Festival. With films from festival veterans and newcomers alike, the NYFF continues to be a home to a wide range of film styles and perspectives. You will not be disappointed with the breathtaking range of films curated by our selection committee." We're looking forward to attending this year's NYFF, and we hope everyone in NYC will stop by and watch films. 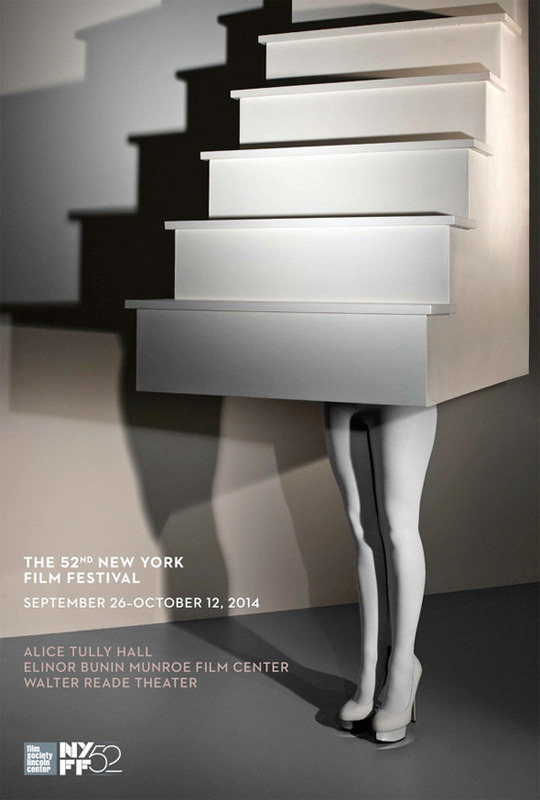 The 52nd New York Film Festival takes place September 26 to October 12. Tickets go on sale September 7. FOXCATCHER is the must see on the list (for me). I can't wait to see that picture. Hoping to hear great things about Gone Girl and Birdman from NYC. I'll be seeing Nightcrawler at TIFF this year.